According to a Press release from National Badminton Federation of Russia, the first ever space badminton tournament took place at the International Space Station on the Earth orbit. The matches were played in the men’s doubles, but according to specific space rules. The score in the first match was not conducted, so all the athletes can be considered the winners of the first historic match. 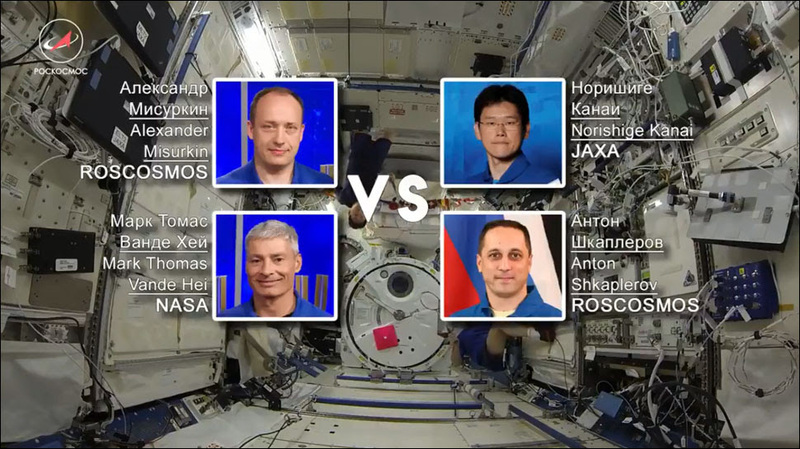 According to Roscosmos, Russian cosmonauts Alexander Misurkin and Anton Shkaplerov played against their US peer Mark Vande Hei and Japanese Norishige Kanai in the first set. In the second set, NASA’s Joseph Acaba replaced Vande Hei. We would like to mention that a number of players of the orbital match have already taken part in competitions on the ground – Alexander Misurkin is a two-time champion of the “Star Shuttle” tournament, traditionally held in the Zvyozdniy Town in honour of the Cosmonautics Day. Alexander Misurkin was the moving force of the project. He is the record holder of the gold medals in men’s singles in “Space Shuttle”, also he holds the record of long-lasting visit to the outer space. Alexander said it many interviews that badminton helps those who works outside the station. We hope it helped him in his recent space exit. It would be interesting to mention, that Alexander was one of the founders and the unconditional engine of the “Badminton Federation of the Orel region” – it was created in the homeland of the cosmonaut in many ways on his initiative. “Badminton Federation of Orel” was admitted to the National Badminton Federation of Russia in November 2017, when the cosmonaut himself was already on the ISS.